Okay, while this may not be as exciting as the premise for the game show The Newlywed Game, this is something crucial to the survival of your relationship that requires your time and attention. Few words in common vernacular trigger the monstrous level of stress that “money” does – and this stress most certainly affects our relationships. In fact, according to financial expert Larry Burkett, almost 80 percent of couples who divorce by age 30 indicated that financial problems were a primary cause of their divorce (Godwin 1990). But don’t be put off by the numbers! There are ways that you can be proactive and not allow money to ruin the relationship. Before any sort of financial structure can be developed for your relationship, it is essential that you sit down and have a very open and honest conversation with your partner about the way they handle money. Money habits can be very hard to break, so it’s important to be very clear about each other’s budgetary expectations. And this does not mean that if you and your partner don’t have identical financial styles the relationship is doomed. What it does mean is that you need to create a plan that you both can stick to long-term, something that makes sense for both of you – whether that’s one person controlling the budget or managing the finances together. Anything that eliminates financial surprises down the road can help ensure the security of the relationship. Student loans or car loans, it’s important to get it all out into the open. It will be impossible to develop a budget that truly matches your relationship’s needs if all of the needs are not addressed. Too often credit is used as the solution to all problems – until it becomes the source of all your problems. Live within your means rather than trying to live a life you can’t afford. What will end up happening is the two of you will constantly be struggling to keep your head above water – which can become a source of resentment. If you put together a budget that consists of the bare necessities and no more, while you may be saving a little more money every month, the pressure money will be on the relationship will still be intense. When money completely runs the show and blocks out all sources of enjoyment, it will still become a source of resentment. Take a look at your total income and allot what can be spared (while still setting an appropriate amount of funds into savings) for “fun money.” If you truly stay within your fun money budget, your finances will be under control and you two will still be able to enjoy and treat yourselves. 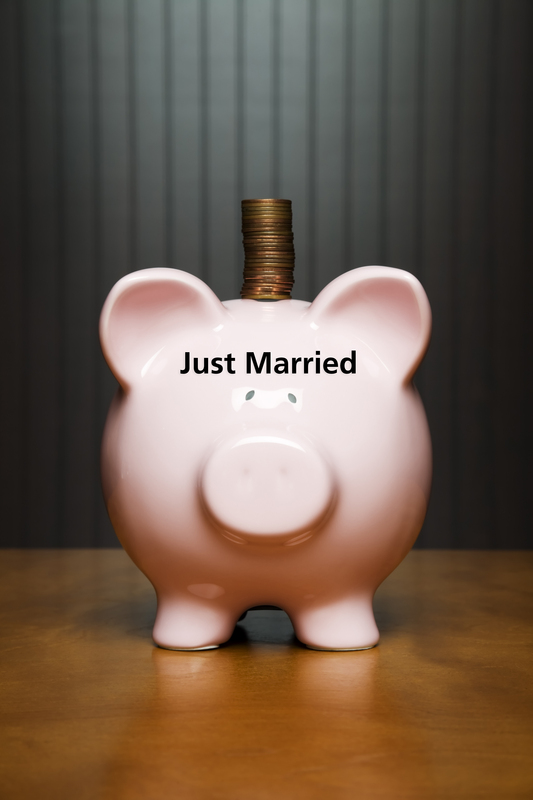 So, you and your partner fully understand your financial situation and have developed a game plan. Now it’s time to trim the fat! It’s helpful to take measures to shave your spending wherever you can to help funnel more money into your savings. Call your utility company to make sure you are getting the best rate possible, evaluate your need for the premium cable channels, and compare rates for items such as home/renter or auto insurance. Not only does this help you better understand where your money is going, but will also keep you informed about normal rates and when/where you might get deals. No, this does not mean shop like a shopaholic. Go out there equipped with the knowledge of exactly what you need and where you can get the biggest bang for your buck! Whether this means practicing patience and identifying something you need in advance so you can take your time finding a deal or taking advantage of reward programs where you regularly go to make necessary purchases. Identifying what you need also helps combat the urge to make impulse purchases when you are out shopping. Yes, I know that this conjures images of spending hours at the dining room table tediously cutting out coupons. However, more and more retailers are turning the smart phone technology to distribute coupons. Look for apps for your favorite stores that allow you to scan and use coupons without the inconvenience of carrying around an envelope full of loose leaf coupons that will inevitably become unorganized and downright exhausting to sort through. This means minimizing the number of times a week you eat out or stop by Starbucks on the way to work. Planning out your meals and cooking at home can save a ton of money (seriously, it’s crazy how much we spend on eating out and don’t even realize it). When grocery shopping, try looking for the deals such as seasonal produce, half-off deli meats and rotisserie chickens after a certain time, and discounted store brands of foods and products. Also, if you usually purchase bottled water – STOP! Plastic bottled water is not only bad for the environment, but also bad on your wallet. Invest in a reusable water bottle (they even make bottles with filters). Whether you are saving for something specific together (a down payment on a house, perhaps?) or simply want to get a head start in life by beefing up your savings account, incorporating a budget into your lifestyle is key to reaching your financial goals. Saving towards your future doesn’t have to be a stressful, all-consuming task for you and your partner. It can even be fun! Challenge each other to save and practice healthy money management – together you two can bolster each other up into savvy savers with an eye on the prize. The best part? You don’t have to do this alone! Budgeting, even with a partner, can be sometimes be overwhelming and seem insurmountable, but there are plenty of resources at your disposal to help you along the way. For help unlocking the budgeting system that works best for you, you can arrange a consultation session with me or a professional life coach. Curt Canada – Board Certified Coach advises and consult with clients at Adapting2change in Washington, DC. Follow Curt online at http://www.adapting2change.com and www.adapting2change.me.